Our new web store is now open 24 hours for your convenience click on the tab above The Flyfishing Store. We ship orders daily. We accept Visa and MasterCard, so call now at 870-445-3848 Tuesday thru Saturday 9 till 4 Central Time. 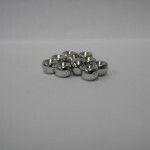 Note that prices on tungsten beads are $3.50 per 25 up to size 1/8 or 3.2 mm mm The 4.0 mm (5/32) beads are $4.00 The 4.6 mm or 3/16 are $4.50 per package. 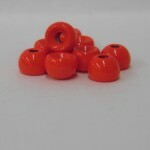 100 count packages are $12.00 up to 1/8 or 3.2 mm 4.0 or 5/32 are $13.00 4.6 mm or 3/16 are 4.50 per hundred. 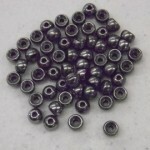 100 count Natural tungsten beads are less expensive. 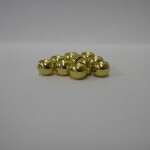 $10 per hundred up to 1/8 mm and the 4.0 or 5/32 are $11.00 per hundred and the 3/16 or 4.6 mm are $15.00 per hundred. My experience purchasing from Wishes and Fishes has been fantastic. Friendly and fast service every time. I wish you the best in 2012 and I’ll be talking to you real soon. Merry Christmas and tight lines. Fast and friendly service. 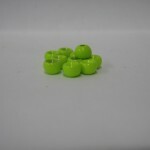 Really appreciate the great prices on hooks and beads. I’m very picky when I select my tying materials and my tungsten beads are no exception. I’ve tied with Umpqua beads, Montana fly beads, & several off-brand beads especially from Ebay. I’ve never been more pleased with the quality and quantity. 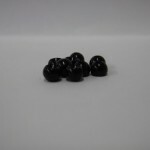 Many of the high quantity/low priced tungsten beads are horrible quality, these on the other hand look just like the Montana Fly tungsten beads and are close to half the price with an additional 5 beads. The only thing I would like (even though there are a lot) are a few more colors. One of my personal favorites is the tarnished gold by Umpqua or the coffee color by Montana Fly. I will revisit again and again. Thank you and great product. I have all those in stock at this time. I was a bit skeptical because of the low price. 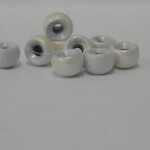 However, I have found these beads to be of very high quality and the service has been outstanding. 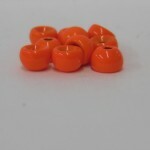 I had previously bought some Montana Fly Company beads in size 7/64 in 3 colors. The silver and black nickel beads fit on a size 10 2457 hook; however, the black beads did not. I considered this a manufacturing flaw. I have not had any problems with these FlyfishArkansas beads. I’m just sorry I didn’t find this web site sooner. I am preparing for a trip to the White River currently, but always buy most of my tying supplies from Wishes and Fishes. The customer service cannot be beaten, the prices are great, and Jim is just fun to do business with. On top of all of that, these beads are great. 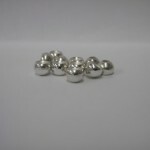 You can find other tungsten beads for the same price or a bit lower but never find the consistency and quality of these. I will never shop anywhere else for beads…..or many other things for that matter. 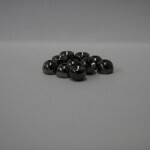 Checking to see if you have black and silver slotted tungsten beads sizes 5/64, 3/32 and 7/64? Jimmy is a great guide and fly builder, his shop is above all other shops I’ve done business with.